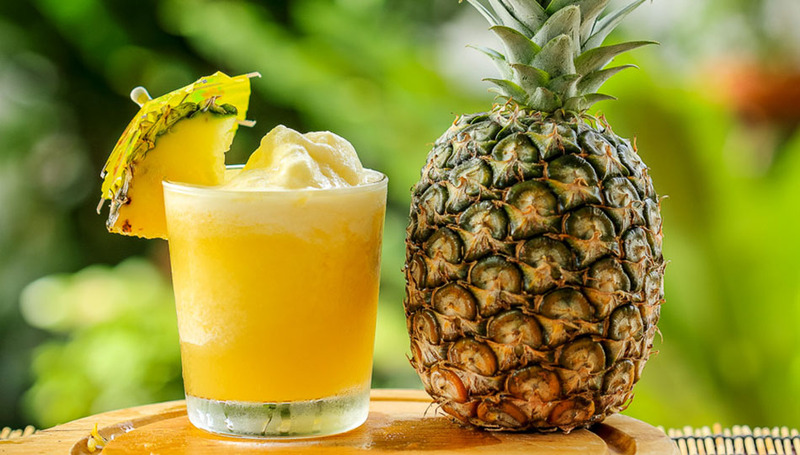 A permanent fixture on the Kailua-Kona nightlife scene, Huggo’s is a live music institution that serves your typical domestics and mixed drinks alongside pub food you’d find most anywhere in the U.S., but happy hour is when the place shines. Quieter and more low key than the crowded scene later in the evenings, a Kona happy hour at Huggo’s brings Mai Tais, Hawaiian Rainbows, and a special on the delicious Kona Brewing Company’s Fire Rock Pale Ale. 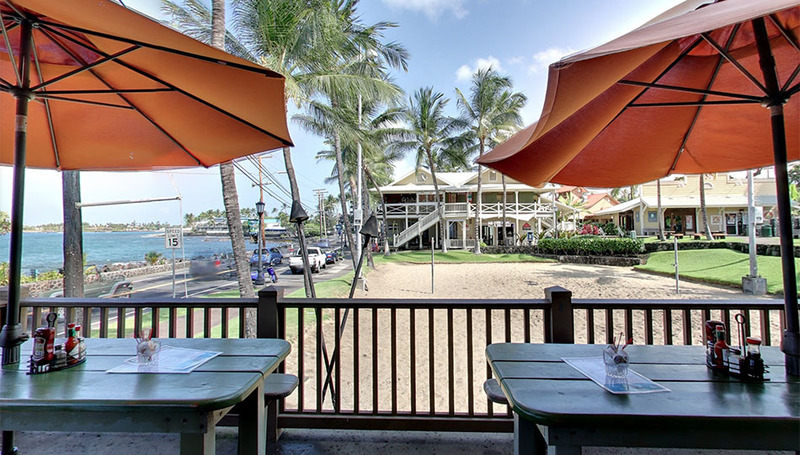 Plus, live music starts promptly at 3 PM on Friday, Saturday, and Sunday, making it an ideal spot to take a load off and cool down with a tasty beverage after a long day at the beach or strolling through historic Kailua Village. 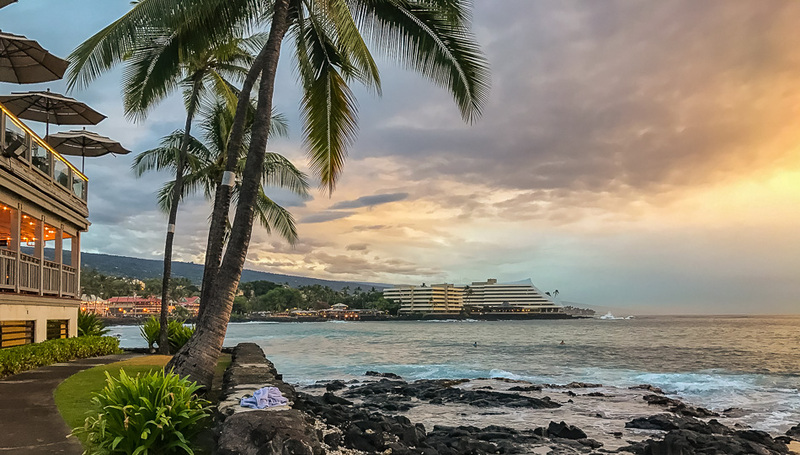 Positioned in the Royal Kona Resort, this place tends to get fairly busy during peak tourist season, but the view, food selection, and drink specials are well worth the hustle-and-bustle. 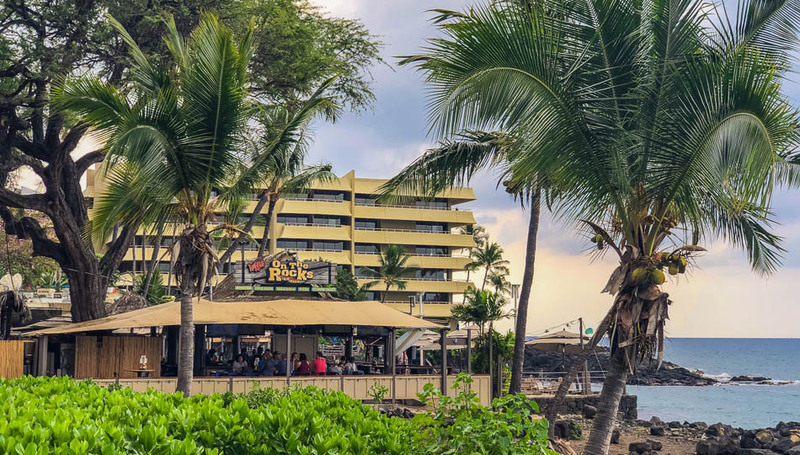 The largest open-air beachfront bar on the island, Don’s boasts 10 different varieties of Mai Tais and 14 different craft beers – the majority of which come from locally-owned breweries. 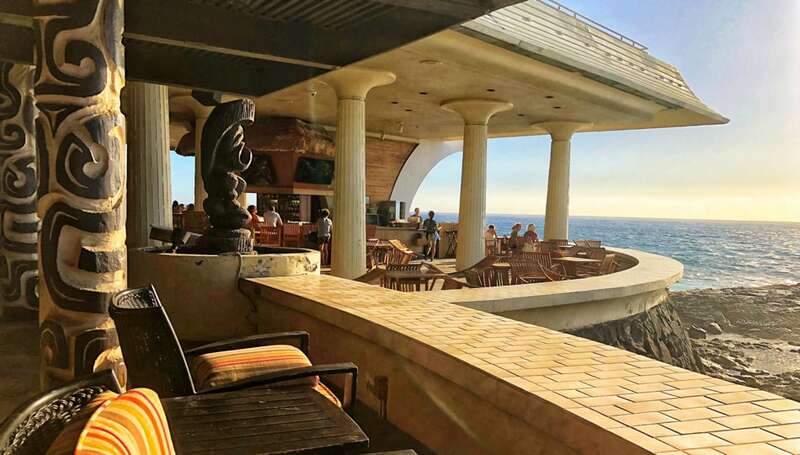 With discounted drinks and Mai Tai tasters, Don’s is a remarkable spot to feel the ocean breeze flow over you with a cold drink securely in hand. With three locations on the Big Island’s western side, Daylight Mind Coffee Company has quickly become a destination for coffee and brunch aficionados, but a trip to their Waterfront Row location in Kailua Village for happy hour drinks is a great solution once the draw to delicious locally-grown coffee begins to wane. Part of Waterfront Row, the restaurant has multiple floors and plenty of space to relax and spread out while enjoying the warm breeze off the ocean. They have plenty of local beers with seasonal rotators that fall into happy hour pricing and their cocktails, while admittedly on the pricier side, are exceptional. 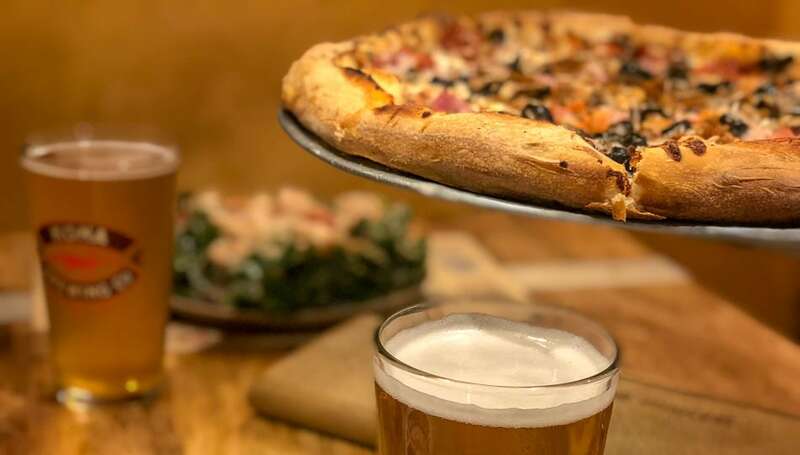 With one of the largest beer selections on the island, Humpy’s Big Island Alehouse is just that: a haven for beer lovers of all types and preferences. Humpy’s has 36 craft beers on tap and a ton of seafood options, making it a perfect destination for an early dinner or happy hour snacks. 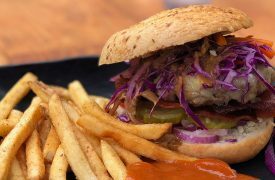 Hawaii’s largest and most iconic craft brewer, one would be surprised to learn that Kona Brewing Company is also one of the best places to grab a meal on the Big Island. With a weekday happy hour that nicely aligns itself with a midday brew tour or an early dinner, no beer lover should miss a trip to Kona Brewing. 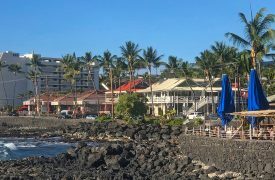 With a great atmosphere and an amazing happy hour, Jackie Rey’s Ohana Grill, established in 2004, has become one of the staple eateries in the Kona area for visitors and locals alike. The food is seafood-oriented and the drinks are delicious, but the happy hour really brings out the best Jackie’s has to offer. Small plates and shareables are reasonably priced, but the drink specials are among the best on the island. Local craft beer starts at $4 and tropical drink specials alternate between $5-6, making it an ideal destination for those thirsty travelers on a budget. The sister restaurant of the Kailua-Kona favorite, Jackie Rey’s Ohana Grill in Hilo is a laidback eatery with upscale dining. 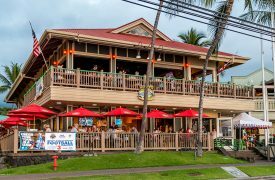 They offer the same great Happy Hour deals as the Kona location. Both Locations Happy Hour: Monday-Friday 3-5 PM; extended hour at the bar area from 5-6 PM.